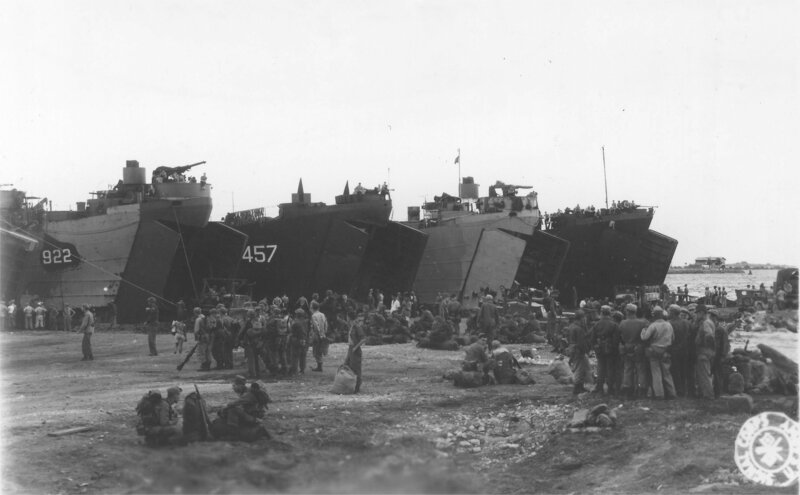 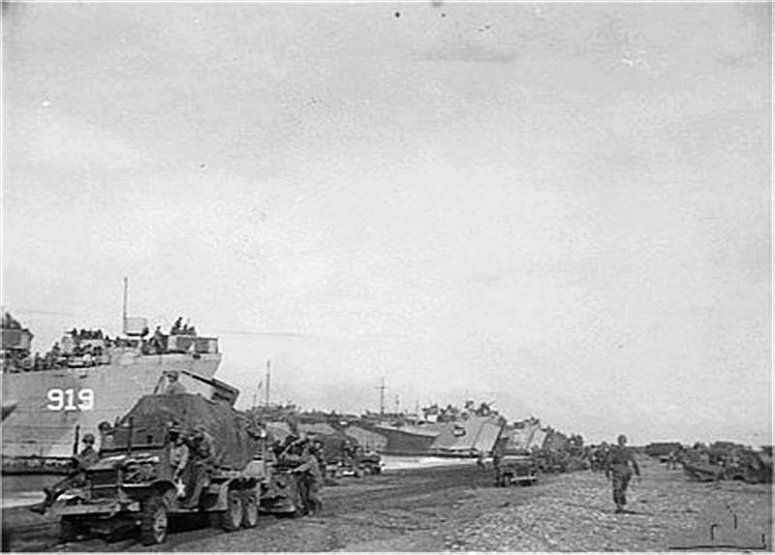 62k USS LST-919, USS LST-922 and USS LST-990 beached at Red Beach Leyte Island, P.I., 14 December 1944, loading supplies and equipment bound for Mindoro Island, P.I. 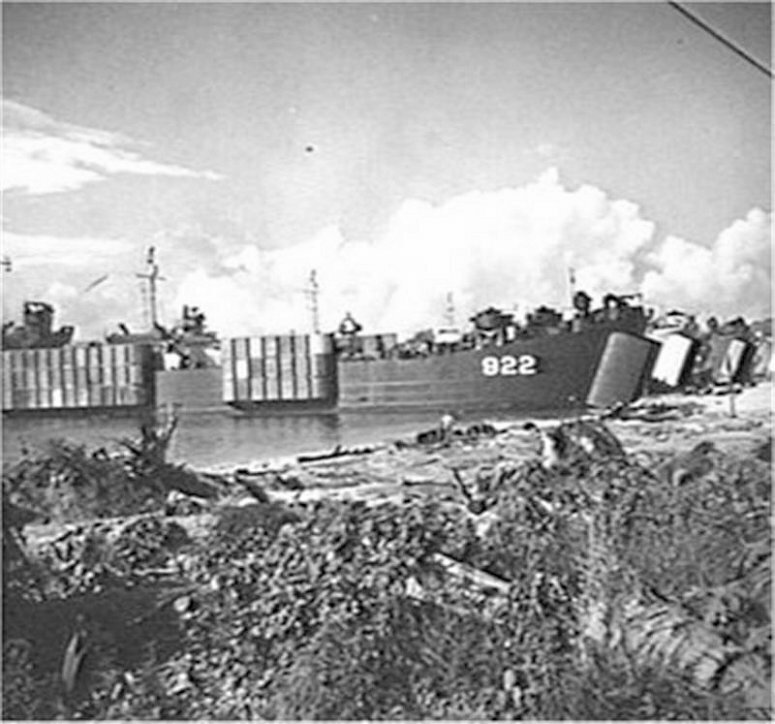 87k USS LST-919, USS LST-922 and USS LST-990 beached at Mindoro Island, P.I., 15 December 1944 unloading supplies and equipment. 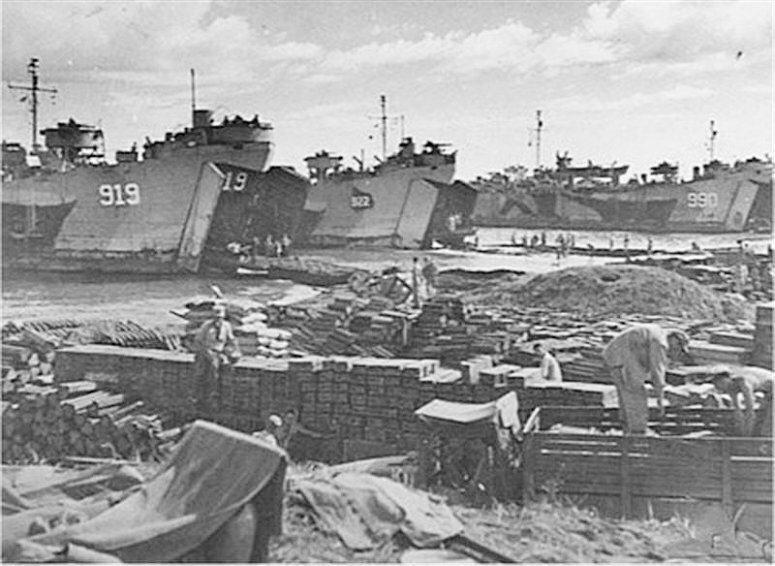 659k USS LST-922 and USS LST-457 along with several other LSTs unloading at a pier that was built in one day by Army Engineers at Cebu City, P.I., 3 April 1945. 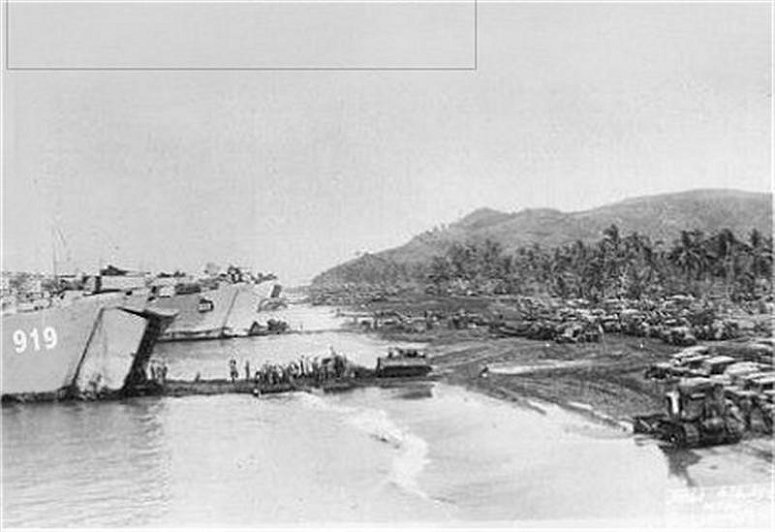 94k USS LST-922 beached at Morotai, in the embarkation area for "Operation Oboe 6", 30 May 1945. 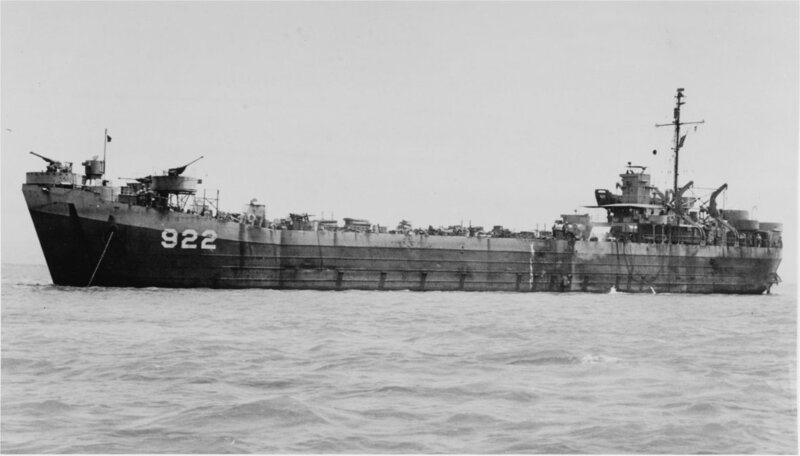 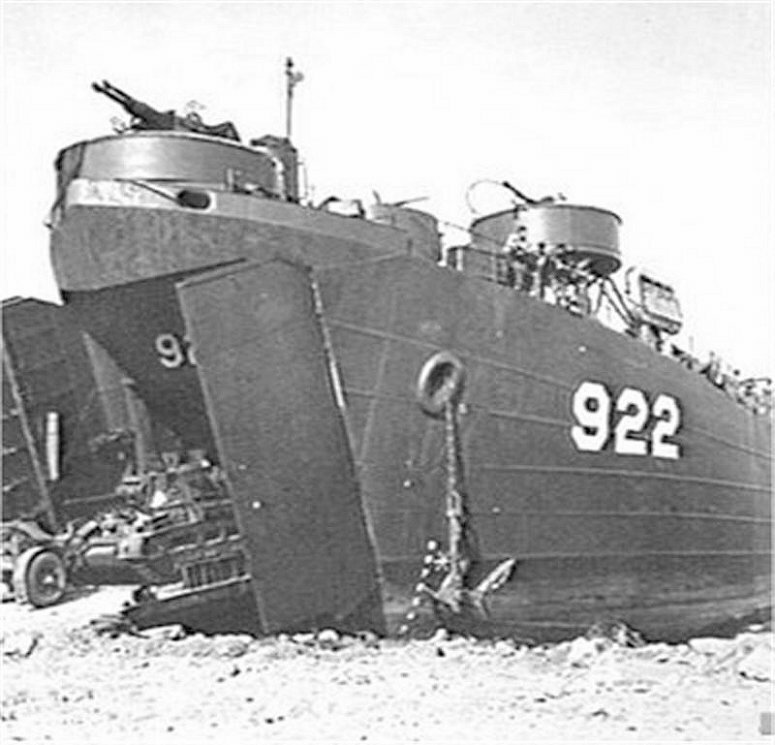 81k USS LST-922 beached at Morotai, 30 May 1945 while loading a Matilda tank of the Royal Australian Army 2/9th Armoured Regiment for transportation to North Borneo and "Operation Oboe 6". 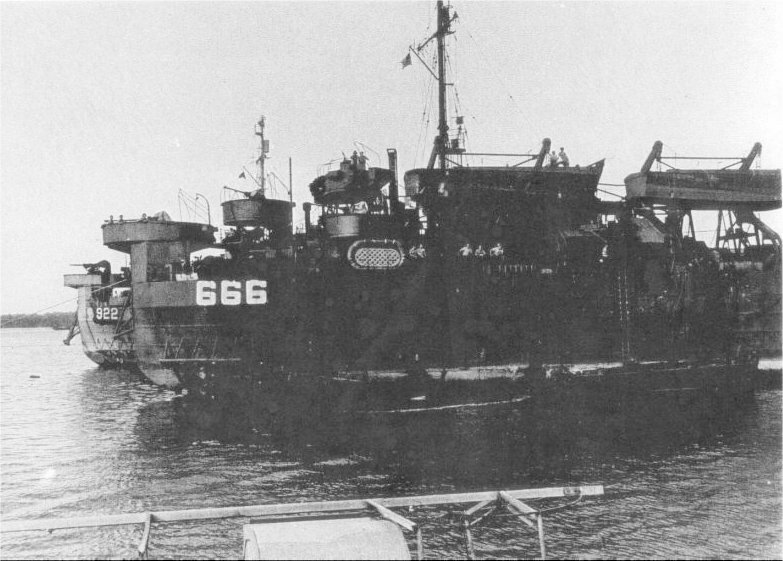 89k USS LST-922 at anchor, circa 1945-46, location unknown.